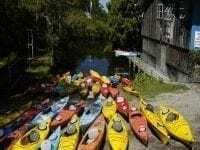 Outer Banks Kayak Rentals On site or delivered fast to your beach house! 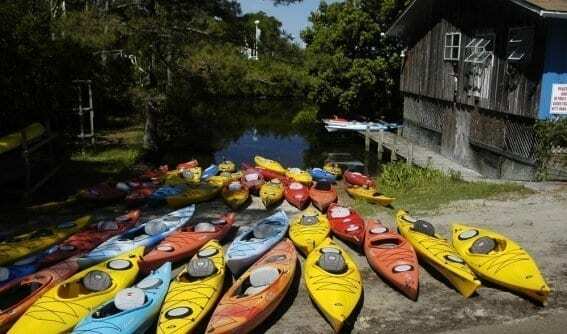 Outer Banks Kayak Rentals are made easy with the Kitty Hawk Kayak & Surf School. Get more out of your vacation to the beach with Outer Banks Kayak Rentals. We have a flotilla of single and double Ocean Kayaks and sit in kayaks for rent.We offer free delivery on all weekly rentals and can usually deliver the beach equipment to your door within two hours of your order right to your beach house! *Prices include backrests, life jackets, paddles and delivery. *Prices include backrest, life jackets, paddles and delivery.